If you have suffered a whiplash injury as a result of a car accident, our Chiropractic Injury Clinic in Johns Creek, Georgia can treat your medical condition and help with your recovery. Car Accidents occur every single day leaving victims in need of a Neck Pain or Whiplash Injury Doctor. If you were involved in a collision, it is crucial to see a Chiropractor who specializes in these areas as soon as possible to make sure your injuries do not become chronic issues in the future. Whiplash injuries can occur even at very low speeds, which means the severity of the injury usually depends on whether or not you are properly restrained. Contact our Johns Creek Chiropractors if you were involved in a car crash. Arrowhead Chiropractic Care Clinic is designed to help treat Car Accident Injury victims. Our Chiropractic Doctors have been treating the injured for over 40 years, so we have the experience and resources to help with your treatment and recovery. With the proper medical treatment, mild whiplash injuries can heal within six to nine months. Unfortunately, more than 20% of whiplash injury victims experience discomfort, pain, restricted movement, and weakness up until two years after the accident. In some circumstances, a degree of pain or disability can be experienced for several years and sometimes even forever. It takes a skilled and resourceful Chiropractic Doctor to treat whiplash injuries properly. Studies have shown that the most powerful whiplash treatment is a combination of specific chiropractic care and rehabilitation of the soft tissues structures. to get your injuries treated properly by an experienced chiropractor you may lose the maximum compensation possible in the outcome of your settlement. At Arrowhead Chiropractic Clinics we provide the proper documentation to prove that your injuries were a direct result of your car accident. 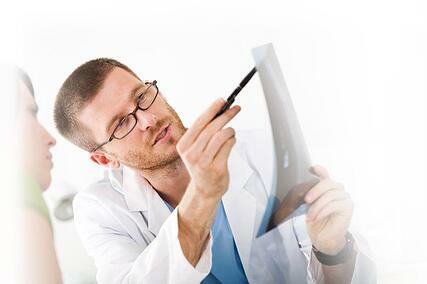 All of your losses and injuries need to be documented accurately and as much as possible. Providing bills and medical records that prove the extent of your injuries will assist your personal injury attorney when trying to establish proof and credibility in your accident injury case. Medical treatment and the seriousness of your injuries are two of the most important considerations when it comes to the value of your accident injury settlement, and the value or your compensation will be weighed quite heavily on these two factors. After a motor vehicle accident obtaining the proper medical care from an Accident Injury, Rehabilitative Clinic is essential for a fast recovery and favorable settlement amount. If you are experiencing indications of Whiplash or Neck Pain in Johns Creek, Ga get in contact with our Doctor to help alleviate your pain. It is critical for your health to receive an examination to ensure that your injuries do not become worse. Our Chiropractors have years of experience helping the victims of car accidents who are suffering from whiplash. Click on the link below now to speak with our Chiropractic Doctors in Johns Creek, GA today!